Dr. Frederic Dufaux received the M.Sc. in physics and Ph.D. in electrical engineering from the Swiss Federal Institute of Technology (EPFL), Lausanne, Switzerland, in 1990 and 1994 respectively. Frederic has over 20 years of experience in research. From 1990 to 1994, he was a research assistant at the Signal Processing Laboratory at EPFL. During the summer 1992, he was a visiting researcher at the Advanced Video Technology Department of AT&T Bell Laboratories, Murray Hill, NJ. In 1994 and 1995, he was a Postdoctoral Fellow at the Media Laboratory of the Massachusetts Institute of Technology, Cambridge, MA. From 1995 until 2001, he was a senior member of research staff at the Cambridge Research Laboratory of Digital Equipment Corp. / Compaq Computer Corp., Cambridge, MA. 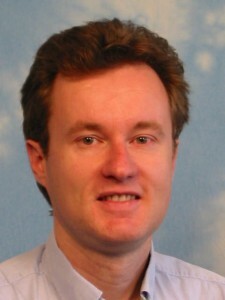 In 2001, he joined Genimedia SA (EPFL spin-off), as a principal solutions architect. From 2003 until 2010, he was a senior research fellow at the MultiMedia Signal Processing Lab at EPFL. From 2003 to 2009, he was also chief scientist of Emitall Surveillance SA, a spin-off from EPFL. In 2010, he joined CNRS as a Research Director. Since 2010, Frederic is also Editor-in-Chief of Signal Processing: Image Communication. Frederic is a Fellow of IEEE. He was Vice General Chair of ICIP 2014. He is an elected member of the IEEE Image, Video, and Multidimensional Signal Processing Technical Committee (2013-2015; 2016-2018) and the Multimedia Signal Processing Technical Committee (2012-2014; 2015-2017). He is the Chair of the EURASIP Special Area Team on Visual Information Processing. Frederic has been involved in the standardization of digital video and imaging technologies for more than 15 years, participating both in the MPEG and JPEG committees. He was co-chairman of JPEG 2000 over wireless (JPWL) and co-chairman of JPSearch. He is the recipient of two ISO awards for these contributions.